This Sedona Bed & Breakfast was originally built in the 1950’s and our borrower brought it back to the present. Initially sporting 20 small rooms, the borrower broke down walls to create 10 luxury suites that include a kitchenette, a large bedroom and an updated bathroom to match. Other updates include plumbing, electrical, paint (exterior and interior) and light fixtures. By working with Capital Fund to get a 24-month loan our borrower was able to complete the updates in a timely manner, and allow them time to refinance their loan with a traditional bank. The Capital Fund team is glad to have had the opportunity to finance such a beautiful property surrounded by nature in Sedona. Capital Fund I, LLC was able to provide quick financing on this fix and flip. Our new borrower was working with a more experienced partner on this deal, and we were happy to help walk him through how private money works. 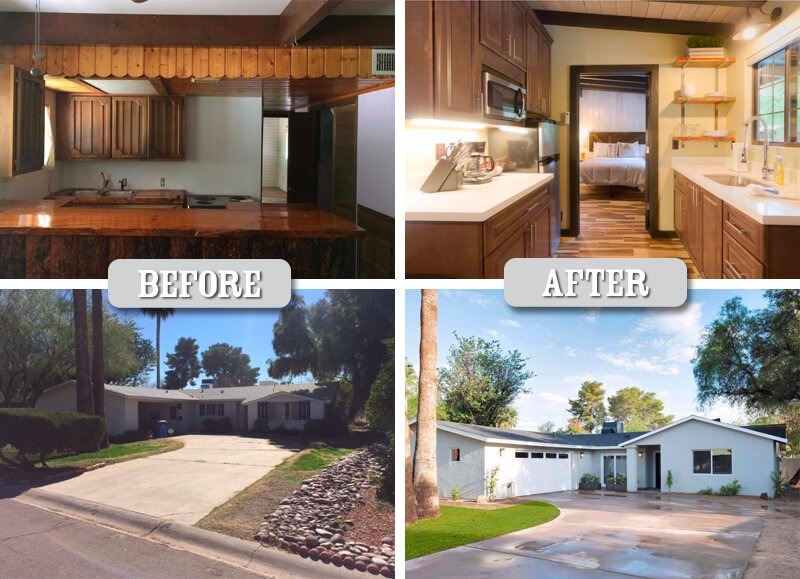 The neighborhood comps on this home proved it’s original price tag of $309,900 was at a significant discount, and they rehabbed it and gave it an additional 1,000 SqFt to earn its new $739,000 price. We are very proud of the work they produced and we are glad to have made it such an great experience with private money.